Another busy week with the added task of finally finishing up the income tax returns. As a former tax consultant I probably should have had this done weeks ago, but it’s one of those chores I tend to put off. But it’s done now and I was able to enjoy a nice weekend including a four hour walk with my bird club on Saturday and a leisurely brunch with the girlfriends on Sunday. The Year My Mother Came Back by Alice Eve Cohen from Highbridge Audio. Thirty years after her death, Alice’s mother appears to her, seemingly in the flesh, and continues to do so during the hardest year Alice has had to face. Beneath the Bonfire: Stories by Nickolas Butler from St. Maritn’s Press. The ten stories in this dazzling, surprising collection evoke a landscape that will be instantly recognizable to anyone who has traveled the back roads and blue highways of America, and they completely capture the memorable characters who call it home. The Book of Speculation by Erika Swyler from St. Maritn’s Press. The Book of Speculation is Erika Swyler’s gorgeous and moving debut, a wondrous novel about the power of books, family, and magic. 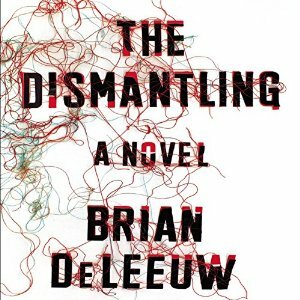 The Dismantling by Brian DeLeeuw from Penguin Audio. Twenty-five-year-old med school dropout Simon Worth is an organ broker, buying kidneys and livers from cash-strapped donors and selling them to recipients whose time on the waitlist is running out. When a seemingly straightforward liver transplant has an unexpectedly dangerous outcome, Simon finds himself on the run. 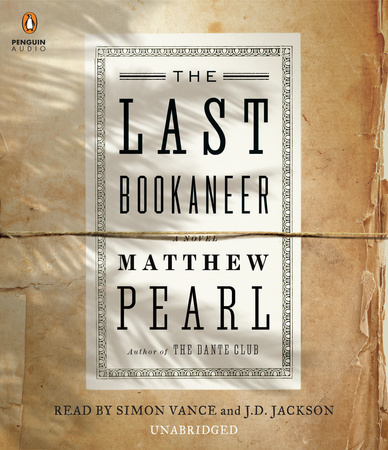 The Last Bookaneer by Matthew Pearlfrom Penguin Audio. The bestselling author of The Dante Club takes us deep into a shadowy era in publishing ruled by a forgotten class of criminals. 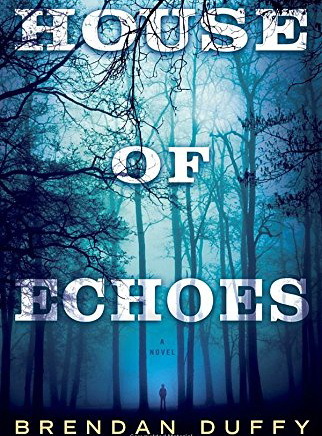 House of Echoes by Brendan Duffy from Random House Audio. In this enthralling and atmospheric debut suspense novel, one young family’s dream of a better life is about to become a nightmare. The only one of those I’m familiar with is The Book of Speculation and I’m only familiar with it because I got it too. Nice mix of books! The Book of Speculation and Beneath the Bonfire caught my eye. Happy reading and listening! They all sound good! I hope you enjoy them! They all look so good. House of Echoes is catching my eye. Leslie, these are all new to me right now! I hope you will enjoy each one. All new to me! Enjoy all the reads. 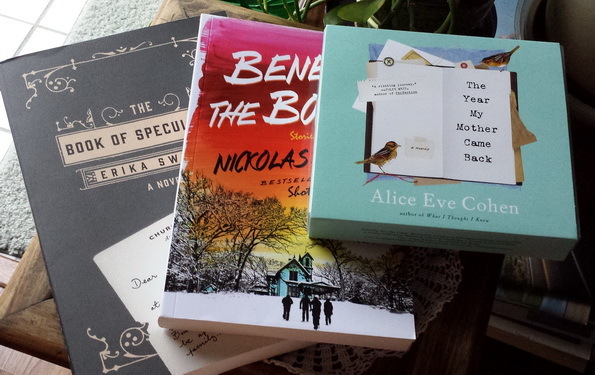 Great new book loot Leslie – enjoy. I don’t think I got the Penguin link last month? weird…just realized it now.